This new casebook provides a comprehensive examination and analysis of the inherent tension between the Constitution and select national security policies, and explores the multiple dimensions of that conflict. Specifically, this first edition explores key points where constitutional law directs or restricts the development of national security policy, its implementation, and oversight. Each chapter focuses on critically important precedents, offering targeted questions following each case to assist students in identifying key concepts to draw from the primary sources. Offering students a comprehensive yet focused treatment of key national security law concepts, National Security Law and the Constitution is well suited for a course that is as much an advanced “as applied” constitutional law course as it is a national security law course, as well as for use in advanced international relations and national security policy courses. The text offers students a comprehensive yet focused treatment of key national security law concepts. Each chapter focuses on critically important precedents, offering targeted questions following each case to assist students in identifying key concepts to draw from the primary sources. The chapters also use text boxes to illustrate key principles with historical events, and to highlight important issues, rules, and principles closely related to the primary sources. Jimmy Gurulé, an internationally known expert in the field of international criminal law, specifically, terrorism, terrorist financing, and anti-money laundering, joined the Notre Dame Law School faculty in 1989, and in 1996 became a full professor. 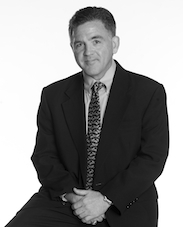 He served as Associate Dean for Academic Affairs in 1998-1999. A member of the Utah State Bar since 1980, Professor Gurulé has worked in a variety of high-profile public law enforcement positions including as Under Secretary for Enforcement, U.S. Department of the Treasury (2001-2003), where he had oversight responsibilities for the U.S. Secret Service, U.S. Customs Service, Bureau of Alcohol, Tobacco, and Firearms (BATF), Financial Crimes Enforcement Network (FinCEN), Office of Foreign Assets Control (OFAC), and the Federal Law Enforcement Training Center (FLETC); Assistant Attorney General, Office of Justice Programs, U.S. Department of Justice (1990-1992); and Assistant U.S. Attorney, where he served as Deputy Chief of the Major Narcotics Section of the Los Angeles U.S. Attorney’s Office (1985-1989). 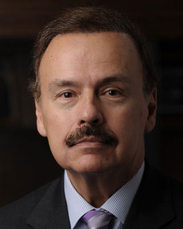 Among his many successes in law enforcement, Professor Gurulé was instrumental in developing and implementing the U.S. Treasury Department’s global strategy to combat terrorist financing, and engineered the conviction of those responsible for torturing and brutally murdering a Drug Enforcement Administration special agent in Mexico. Professor Gurulé is an internationally recognized expert in the fields of terrorist financing and anti-money laundering, has delivered lectures on these subjects before: the Italian Banker’s Association, Milan, Italy; Military Center for Strategic Studies, Rome, Italy; Austrian Defense Academy, Vienna, Austria; Euroforum, Madrid, Spain; World Economic Forum, Davos, Switzerland; Indian Banker’s Association, Calcutta, India; Institute for International Bankers, New York City, and Comandancia de la Policia Nacional, Asuncion, Paraguay. Professor Gurulé has also co-authored International Criminal Law (Carolina Academic Press) (4th ed. 2013); Criminal and Forensic Evidence (LexisNexis) (forthcoming 4th ed. 2013); Complex Criminal Litigation: Prosecuting Drug Enterprises and Organized Crime (forthcoming 3rd ed. 2013); Principles of Counter-Terrorism Law (Thompson-West 2011); and Unfunding Terror: The Legal Response to the Financing of Global Terrorism (Edward Elgar 2008). Professor Gurulé is a member of the Seventh Circuit Court of Appeals Committee on Pattern Criminal Jury Instructions, American Law Institute, Faculty Advisory Board of Center for Civil and Human Rights at the Notre Dame Law School, elected as a Fellow of the National Academy of Public Administration (2009), and selected as a member of the United Nations expert working group on &"Public Corruption and the Negative Impact of the Non-Repatriation of Funds of Illicit Origin on the Enjoyment of Human Rights.” He has served as a consultant to the American Bar Association Rule of Law Initiative advising the governments of Belize and Bahrain on criminal justice reform. Professor Gurulé has also served as an expert witness and consultant on several high profile anti-money laundering and counter-terrorism cases, including the 1983 terrorist bombing of the U.S. Marine barracks in Beirut, Lebanon, and 1998 terrorist bombings of the U.S. embassies in Kenya and Tanzania. Professor Gurulé is also a prominent member of the Hispanic legal community, having served as President of the Hispanic National Bar Association in 1989 and received the Graciela Olivarez Award in 2006. He also serves as the faculty advisor to the Hispanic Law Student Association. He was selected as one of the &"100 Most Influential Hispanics” by Hispanic Business in 2002, 1990, 1989, and 1987. He has been quoted by the New York Times, Wall Street Journal, Washington Post, Chicago Tribune, Christian Science Monitor, Bloomberg, and interviewed by CNN, CNN International, CNBC, NPR, CBS, FOX, and the BBC. 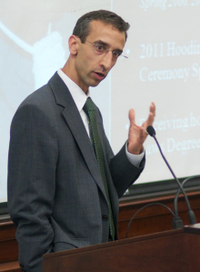 Jeffrey Kahn joined the SMU Law faculty in Fall 2006. He teaches and writes on American constitutional law, Russian law, human rights, and counterterrorism. In 2007-2008, he received the Maguire Teaching Fellow Award from the Cary M. Maguire Center for Ethics and Public Responsibility at SMU for his seminar, "Perspectives on Counterterrorism." In 2008-2009, he was named a Colin Powell Fellow of the John Goodwin Tower Center for Political Studies. In 2010, he received SMU's Outstanding Faculty Award, a university-wide award given each year to a junior, tenure-track faculty member for excellence in teaching, curricular development, and scholarship. In 2011, the year he was tenured and promoted to associate professor, he received the Law School’s Excellence in Teaching Award. His latest research on U.S. legal topics focuses on the right to travel and national security law. His most recent book, Mrs. Shipley's Ghost: The Right to Travel and Terrorist Watchlists (University of Michigan Press, 2013), critically examines the U.S. Government’s No Fly List. Among other publications, his articles have appeared in the UCLA Law Review, Michigan Law Review, and the peer-reviewed Journal of National Security Law and Policy. Professor Kahn’s work on Russian law has been noted by name by the editors of the New York Times and published in various law reviews as well as the peer-reviewed journals Post-Soviet Affairs and Review of Central and East European Law. His latest research has focused primarily on the influence in Russia of the European Convention on Human Rights. In 2011, Russian President Dmitrii Medvedev's Human Rights Council asked him─the one American among six other experts from Russia, one from Germany, and one from the Netherlands─to write an expert report on the second conviction of Mikhail Khodorkovsky and Platon Lebedev. This work and its repercussions was described in a recent essay published in the New York Times (online) and International Herald Tribune (print). He is a graduate of Yale College, Oxford University (where he won the Hodgson Martin Prize for Best Dissertation for his doctoral work on Russian federalism), and the University of Michigan Law School. After law school, he was a law clerk to the Honorable Thomas P. Griesa of the United States District Court for the Southern District of New York. He served as a trial attorney in the Civil Division, United States Department of Justice from October 2003 until April 2006. Professor Kahn is a founding member of the Advisory Board for the SMU Embrey Human Rights Education Program. SMU is the first university in the South, and only the fifth in the country, to offer an academic major in human rights. The major is currently the fastest growing major in the University. He is also a Faculty Associate of the John Goodwin Tower Center for Political Studies.